How Can Product Managers Help Tiffany Once Again Become “Cool”? What makes a jewelry store cool? The 183 year-old Tiffany’s jewelry store has been cool for a very long time. They’ve been associated with very, very cool people like the actress Audrey Hepburn and that has made them very successful. However, as of late they seem to have lost their cool factor. What can the Tiffany product managers do to change their product development definition and help the store reclaim its “cool”? So this discussion starts with the simple question: what happened at Tiffany & Co.? They’ve lost the things that made shopping at and buying from Tiffany cool. Back in the day a girl’s heart would skip a couple of beats when she was presented with the classic Tiffany blue box. No matter what was in it, it was going to be wonderful and she was going to be able to brag about it to all of her friends for the next few weeks. However, something has changed and that cachet is no longer associated with Tiffany. The people who study such things tell us that what seems to have happened is that Tiffany has changed what it sells. Specifically, 45% of what Tiffany sold last year came from jewelry categories that cost $530 or less. What this means is that Tiffany has been hurting its air of exclusivity by selling lower priced items. That’s not going to look good on anyone’s product manager resume. Now I do have to confess that if my wife came home one day showing off her brand-new $500 ring this would cause me to have a bit of a fit. However, in the world of jewelry it turns out that this really does not mean all that much. For example, over at one of Tiffany’s biggest competitors, Cartier, they probably don’t sell anything for less than $500! What Tiffany has been trying to do is to find out how to strike a balance between offering both high-end and low-end items. In the past few years they have boosted their low-end lines by adding more gold and boosting their prices. Tiffany thought that they had been able to maintain the image of being a respected and highly desirable line. However, when consumers are queried they say that Tiffany has lost its cachet and that their styles have not changed very much over the years. The Tiffany product managers realize that what they need to do going forward is to attract the attention of the millennials. In order to make this happen they are going to have to find ways to get social media to work for Tiffany. What has been discovered is that millennials need to see famous people using a product before they will be tempted to use the product themselves. What this means is that the Tiffany product managers have to find an “endorser” that the millennials will be willing to believe in. Tiffany also currently has 310 retail stores. In order to be successful the Tiffany product managers know that they have to move beyond their stores in order to sell even more. One way that they’ve gone about doing this is to offer some of their products at an edgy fashion boutique called Dover Street Market. The product managers also realize the importance of being able to sell more items online. In order to make this happen they have allowed some designs to be sold via the Net-a-Porter fashion website. One of the challenges that the product managers are dealing with is that Tiffany is not selling a great deal of new designs. In fact, new designs only represented 10% of what they sold last year. As many customers have remarked, a number of the items that Tiffany is selling today first debuted back in the 1960’s. A lot of a customer’s desire to buy is driven by the “newness” associated with a design. In order to fix this problem, the product managers have now created a new research center that is located close to Tiffany’s headquarters. The goal is to have the research center allow Tiffany to shorten their design cycle by allowing their design and production teams to work together. Tiffany is a very famous jewelry story. It has been around for over 100 years and in the past it has been associated with many of the most famous movie actresses. In the past, when someone received a gift that came in a blue Tiffany box, it was considered to be a very special gift. However, time has moved on and Tiffany appears to have lost some of its cool factor. It is now up to the Tiffany product managers to take a look at their product manager job description and find out how Tiffany can get its cool back. 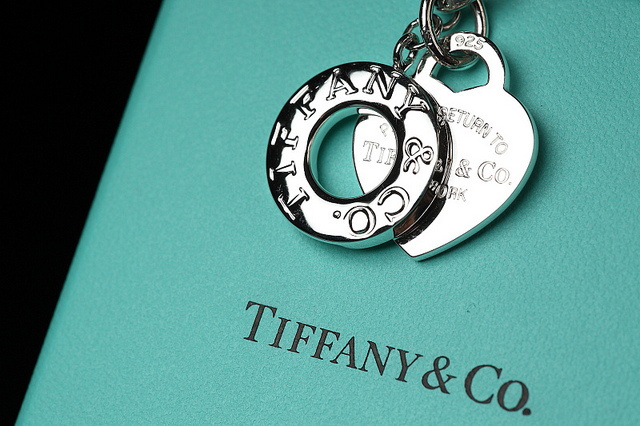 There are a number of reasons that Tiffany has lost its cool factor. Part of the problem is that in order to boost their sales, Tiffany has started to sell more of their lower end products. The result of this has been that they have ended up losing some of their cachet. The competition has not done this and they are still seen as offering exclusive products. The Tiffany product managers are starting to take steps to fix their problems. The first thing that they are doing is to start to put social media to work for them by enlisting the help of various endorsers. Next, they are trying to expand their sales beyond the 310 retail stores that they operate. Finally, they have started to try to create newer lines of jewelry more quickly in order to offer their customers more new things. Tiffany has been around for a long time. The challenges that they are facing now are serious, but probably not fatal. The brand still has enough allure that their products are seen as being very valuable. The Tiffany product managers only need to change the way that their potential customers view the brand. The steps that they are already taking will move them in that direction. If they can keep at it, then the Tiffany brand can once again become “cool”. Question For You: Do you think that Tiffany should sell online under their brand name or should they create a new brand for their online products? I’m going to assume that by now we all have some form of a smartphone in our possession. No matter what type of smartphone you have, they can all do a lot: take pictures, surf the internet, and run countless apps. However, what comes next? Over at Google, the company that become famous for making it easy to search the internet, they also happen to make phones. Even as you read this the Google phone product managers are struggling to figure out what the next big thing is going to be.